Lovely ovoid shape with different pattern cartouche either side of the body. Backstamp: Rd No. 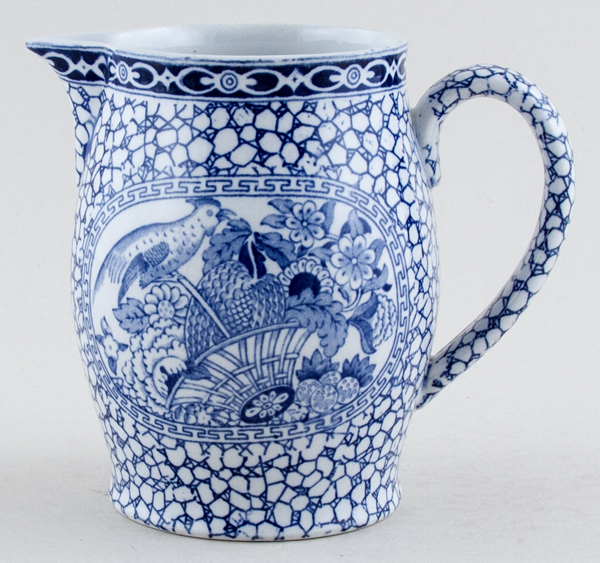 623294 This Pattern was introduced by William Adams in 1780 being a copy of a Chinese pattern & one of the first of its style produced in English Pottery Wm Adams England. A little minor wear to the rim otherwise excellent condition.